There’s a science to good writing, which means that anyone who studies enough about what works and puts their mind to it can improve. Sure, writing is an art, too. But don’t let subjective things like “inspiration” and “talent” stand in the way of learning how to write better. By applying a few simple rules, you can make a huge jump in your content quality regardless of whether your were destined to be the next T.S. Eliot. So, if you’re ready to cut down on the baloney in your writing and find out how to engage your audience more effectively, here are six content writing tips to take to heart. 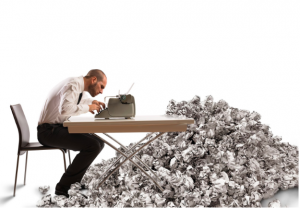 Writing as an audience-focused objective should be obvious, but far too many people sit down at their keyboards and start writing for some vague other reason. They may simply feel like they “need to get their words out there,” or they may want to fulfill their SEO obligations for the week. The problem is that your audience can always tell when you leave them out of the equation! Their eyes glaze over, and they quickly get the urge to hit the “back” button. They may even wonder “what the heck am I reading?” as the author rambles on and on without ever making a real point. Start Outlining Before You Write! Well, we’re here to say your teachers were right. Outlining is worth your time because it forces you to think about how and when you’re going to say something. That way, you can communicate your information more clearly and in a logical way. You’ll also ensure the entire structure of your content gets the point across. You don’t have to do a full outline, either! Just start with the basics. List out the main points you want to make. If you are making a list, which is the format of this post, then go ahead and write out what everything on the list will be. If your content is something more sophisticated, like advice on how to get a home loan, then think about the main points you will make in your intro and how you will transition into each individual point. Prewriting gets you thinking so that you aren’t rambling during your draft. It also forces you to consider the whole article at once. That way, you won’t suddenly stop in the middle of the draft and wonder where to go next. Think about outlining like doing a sketch. If you’re trying to draw something like the family car, starting with the windows and headlights can mean your car turns out looking more like a limo than a SUV. But if you sketch the general shape, then fill in the smaller details as you go on, the whole thing will have a more recognizable shape. Researching your topic before you write helps you communicate better with your audience while also helping you prewrite more easily. Audiences tend to be compelled more by statistics than assertions. For instance, we can say that too many business owners overpromote during their blogs rather than try to offer information to their readers. Backing that fact up by saying 79 percent of editors agree with us makes that assertion feel more objective. Grabbing quotes and statistics can help your writing, too! You’ll think more about when your audience might say to themselves “I’m not convinced,” which means you’re meeting their needs better. You can also simply grab blocks of text to quote or cite later on and dump them into your outline. Just make sure to always drop a link or, at the very least, a reference to the source you’re grabbing your information from. Ignoring citations doesn’t just count as plagiarism, it hurts the authority of the thing you’re quoting or pulling from! Writing sometimes takes on a life of its own while you hammer away at the keyboard. In many cases this is a good thing, since it means you’re letting the ideas flow through your hands. But other times, you may not realize just how jumbled or unclear your sentences were until you give them another reading pass. Identify any sentences or paragraphs where the the main subject is unclear. Try to rewrite these sentences so your audience knows exactly what you’re talking about and what you’re trying to say about it. See if there are transitional words or entire sentences you can delete. A lot of times, something that felt natural as we typed reads in a clunky way during a copyedit pass. Break up long sentences into two or more sentences. See if there are opportunities to create a paragraph break so that each idea is separate and easy to follow. Try to reduce “being” and “linking” verbs like “is,” “was,” “becomes,” or “will.” We use these verbs all the time while speaking, but while writing you can often find a stronger verb that more directly communicates what your subject is doing. Over half (57percent) of all online traffic now comes from mobile device users. If someone’s visiting your site, they’re more than likely viewing it on a small mobile screen. Mobile screens have a vertical layout instead of a nice letter-shaped one that most desktop and laptop computers now offer. Text gets bunched up into long columns. If you write using huge paragraphs, these will be squeezed into giant blocks of text. So, for the sake of mobile users, don’t dump a wall of text on your readers! Instead, break your article up into several sections as we have done. Using lists and pictures can also offer your readers’ eyes a break, while giving them something visual to engage with. To test out whether your article looks pleasant on a mobile screen, simply preview it on your own device before final publication. So far, all of our advice has focused on making a single piece of content better. But you can dramatically improve your content overall by ensuring you have a strategic reason to cover the topics you do. 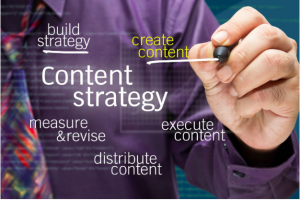 Creating a documented content marketing strategy makes every other part of the job easier. Yet, only 38 percent of marketers have a documented strategy! With these main items in the bag, you can streamline your process for coming up with new topics and ensure you’re writing towards your audience. 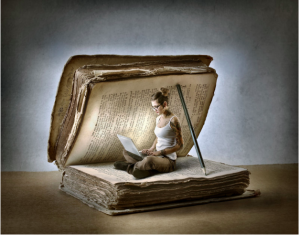 Following all of these tips won’t make you a brilliant writer overnight, but they will help you think more deliberately about how you structure your pieces and how each sentence communicates to your audience.